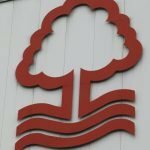 Until the 77th minute in Nottingham Forest’s clash with Norwich City at Carrow Road, Boxing Day couldn’t have gone much better for the travelling fans. Having established a three goal lead with Matty Cash helping himself to a brace and an effort by Jack Robinson, it then all went a little bit pear-shaped for manager Aitor Karanka’s side. Three goals of their own, including two in stoppage-time, meant the spoils were shared on the afternoon and whilst there’s been plenty of fallout since, it’s only fair that 21-year-old youngster Cash gets his moment given his individual performance on the day. 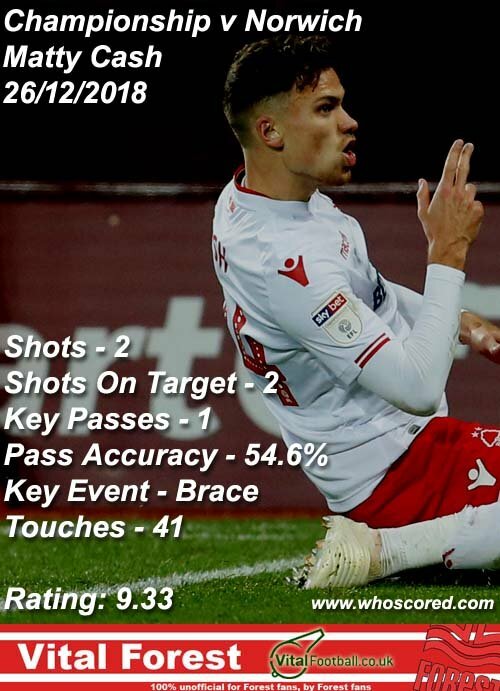 Statistics website Whoscored gave the lad their star man rating with a score of 9.33. Despite the disappointing end to the game, we did still have a number of strong performances and completing the top five on the day were Joe Lolley (7.74), Robinson (7.54), Joao Carvalho (7.52) and goalkeeper Costel Pantilimon (7.34). Michael Hefele also received a seven-plus score.